Netatmo, the award-winning French manufacturer that has launched more than a dozen products on the smart home market, is adding another device to its growing lineup. The company announced at CES in Las Vegas that it will soon be selling the Netatmo Smart Video Doorbell, a robust, wireless, camera-enabled video doorbell that will add another layer of safety and security for consumers and serve as a rival to devices already flooding the market from brands like Ring and Nest. On paper, Netatmo’s Smart Video Doorbell looks much like its competitors with a 1080p Full HD camera with a 160-degree wide angle lens and HDR functions that adjust to sudden changes in light. Other common features include a weather-resistant case, a two-way speaker to allow users to communicate with people at the door, be they delivery drivers or nosy salespeople, and a proprietary app that allows users to access all the functions of the device. This doorbell does seem a little more customizable than some similar products, with the ability to set specific alert zones and receive a “person detected” notification via Netatmo’s proprietary people-detection technology. The Netatmo Security app also fires up an immediate alert if it perceives that someone is attempting to deactivate the doorbell or remove it from the wall. Installation is fairly simple — the Netatmo Smart Video Doorbell is designed to simply replace an analog doorbell and connects to the user’s home Wi-Fi. It does require a wired doorbell connection and is compatible with all standard electrical installations, from 8 volts up to 230 volts. Videos and histories of calls received are saved locally on an internal micro-SD card — or they can be automatically transferred and archived on the owner’s Dropbox account or personal FTP server. They are delivered under the cover of end-to-end encryption. Finally, users who are DIY-savvy about their smart home technology can create automations in the Home app to connect their doorbell to other HomeKit-enabled products such as smart lights. Power users should note that the doorbell is also compatible with IFTTT (if this, then that), the free web-based protocol that enables users to create chains of simple conditional commands, known as applets. There’s no word on price yet but similar products from manufacturers like Ring and Nest range from $100 to $250. 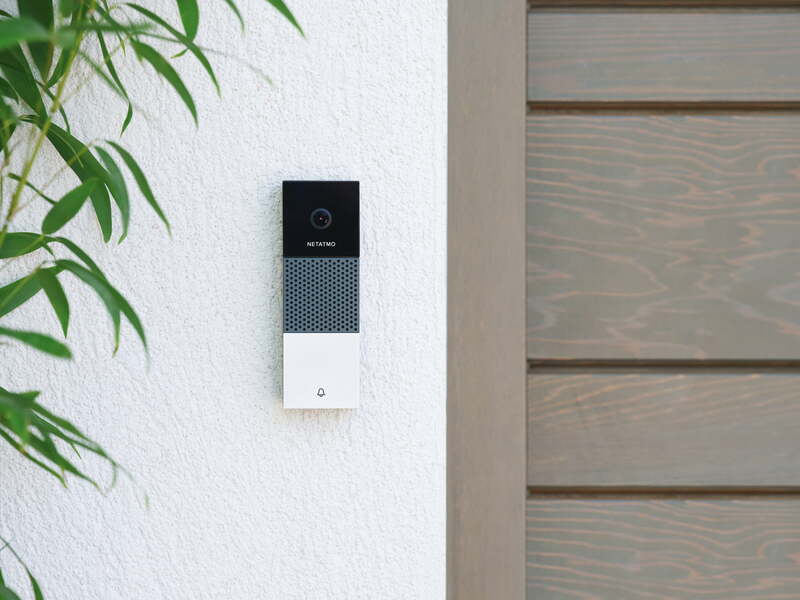 Netatmo anticipates that the Smart Video Doorbell will be available for purchase in the second half of 2019.